From Old to "New" | For the Joy of Life. Us newlyweds over here don't exactly have all the money in the world to go to the big furniture stores and make purchases on all the beauties inside. However, I have always felt that furniture pieces that are your own really make a house feel like more of a home. They take up a lot of unused empty space and help create just the look you were going for. I love love love cream, white, light gold, light grey and anything else that makes a room look brighter. 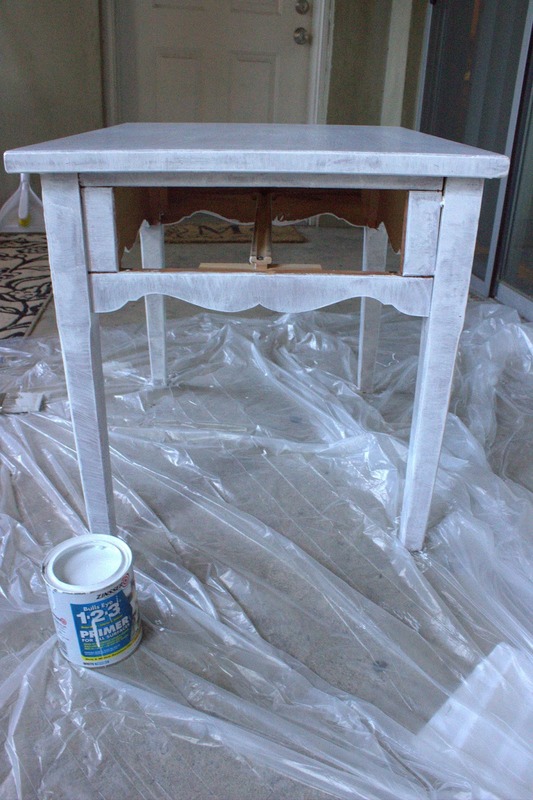 I had been hoping one day I would find a side table to call my own in a creamy shade, but all the ones I had seen were much more than they were worth. While Hunter was in Florida last week I headed over to our local thrift store and set out to find, not a side table. 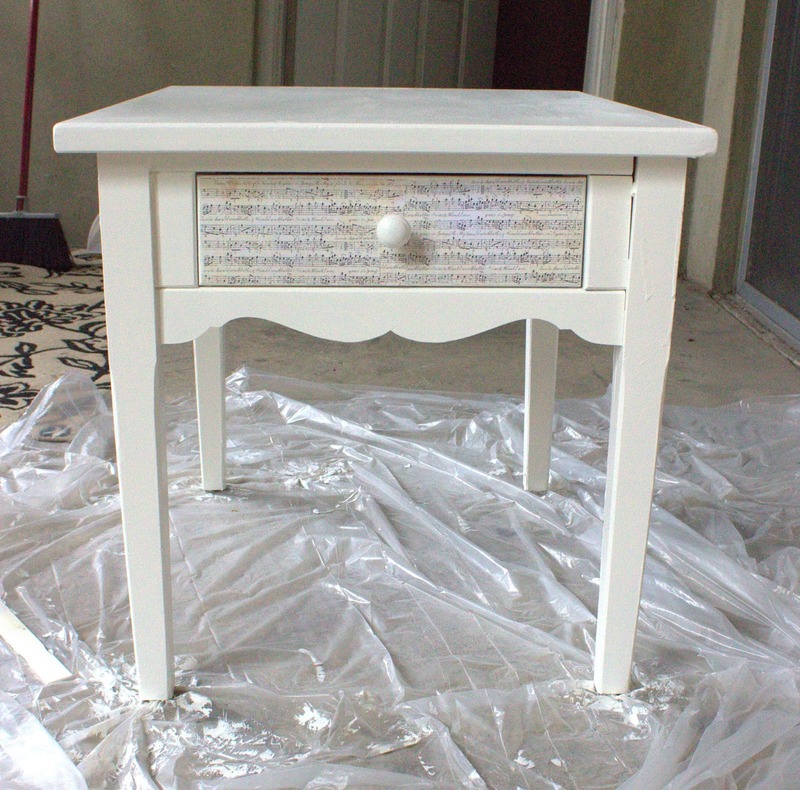 but a dresser for baby girl's nursery. So far we haven't found the right dresser but I wandered past this table a million and a half times. I kept coming back and observing it thinking of all the ways I could restore it and make it my own. After inspecting every inch I finally decided the small price was worth it, and purchased it! I had never re-painted any furniture before so I texted my mom and she gave me just the pointers and motivation I needed. I set out to Lowes and my project was underway! I set it up on a plastic tarp and took out the drawer to begin with. I then sanded it down with low grit sand paper. The object here is not to sand like a crazy person... 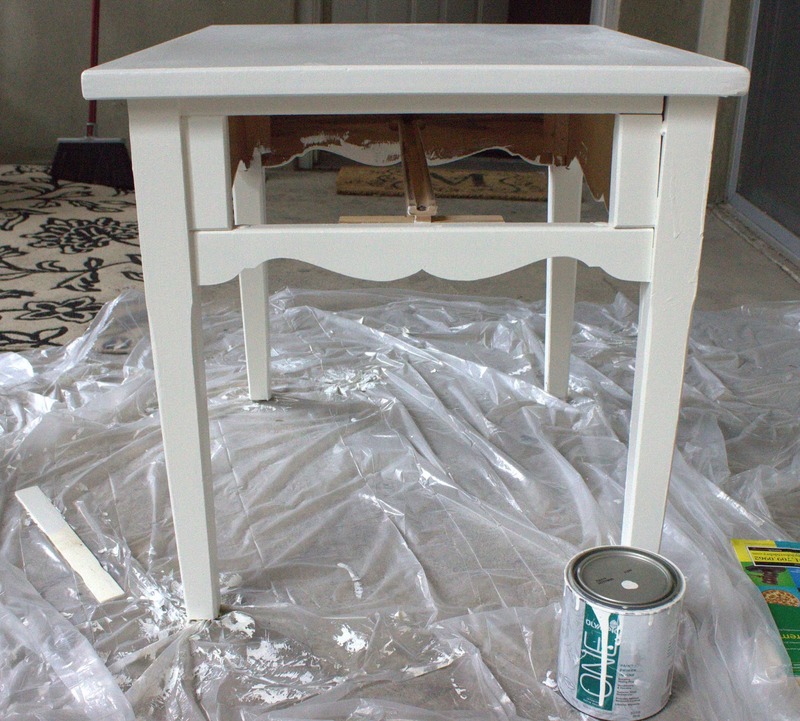 I went over it once and just made sure to pay special attention to problem areas, all you're really trying to do is make it easier for the paint to stay on your piece of furniture. Once I was done I used a slightly damp paper towel and wiped away all the dust. 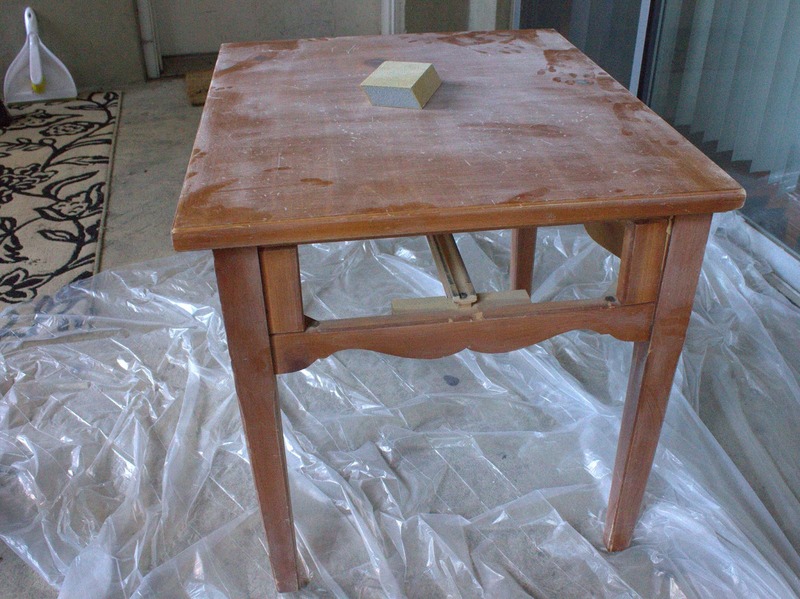 Next, I brushed the table with one coat of primer. 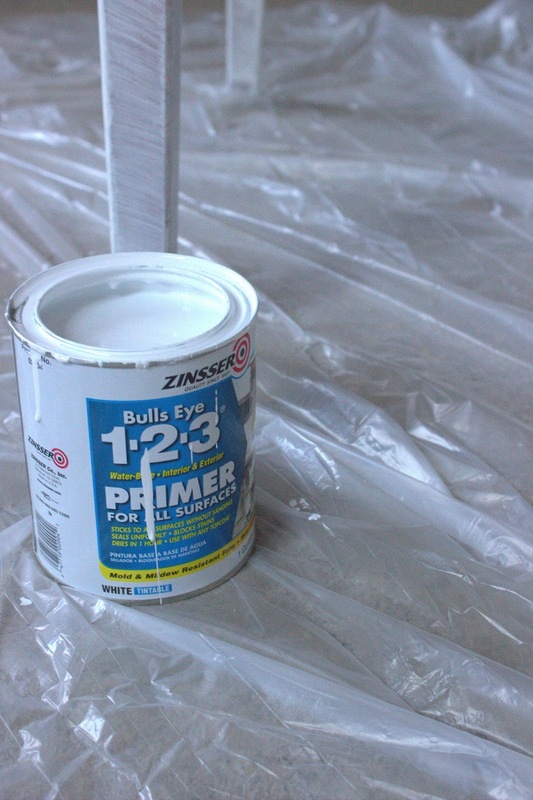 The object in this step is not to do a million coats of primer, one will do just fine. This is not your actual paint after all. 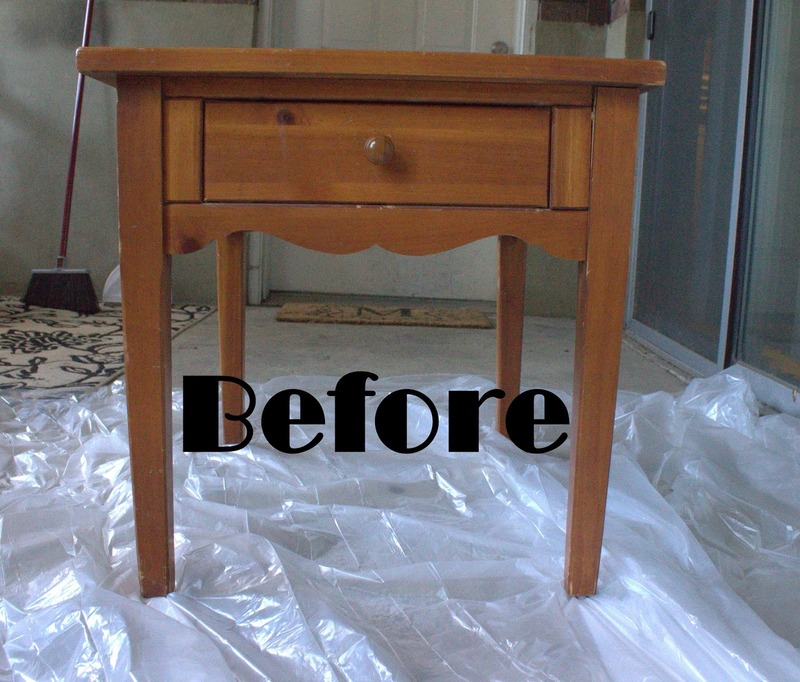 I then brushed the table with three coats of paint. I probably would have been fine with two but I would prefer to have this table last a while so I went ahead and did three. I also made sure to let each coat of paint dry completely in between. I used a 3 inch paint brush and a tiny little one for the edges. The step I have not done yet, but will get around to is adding a poly eurothane coat to seal it all together and make it last a while. Lastly, was completing the mod podge drawer. I didn't sand the drawer at all. I found the music note scrapbook paper at hobby lobby for 48 cents. I cut it into four pieces. Two big ones for each of the sides and two small ones for the middle. Once my pieces were cut I took a damp paper towel and dabbed each piece with it. I did NOT drench them, I simply made them damp enough to reduce bubbling. 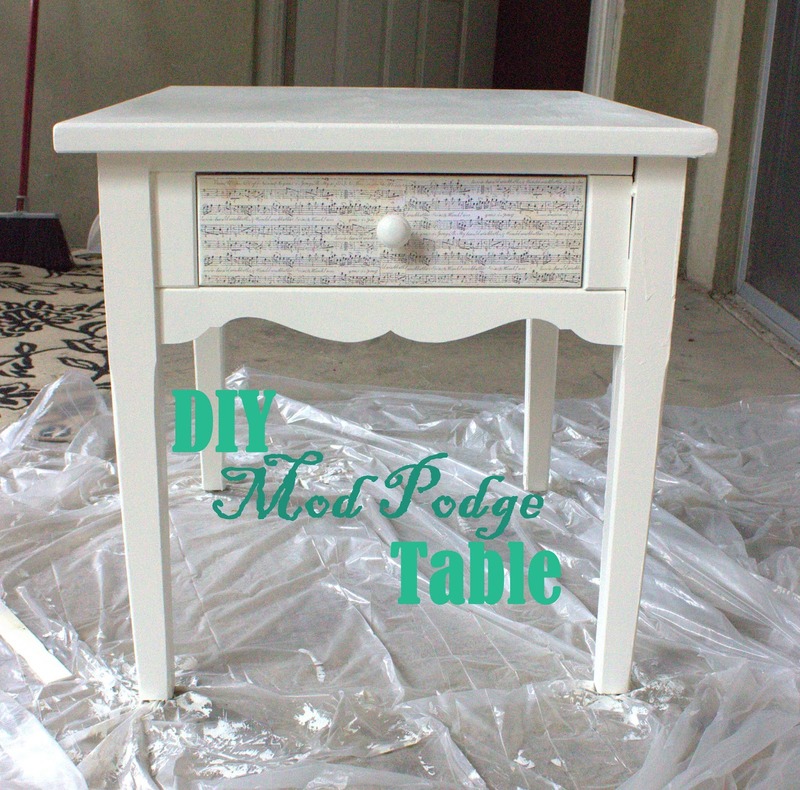 I added a thin layer of mod podge to the drawer and carefully applied each piece of scrapbook paper. Once all four were applied I added a thin layer of mod podge on top of that to hold the paper in place. 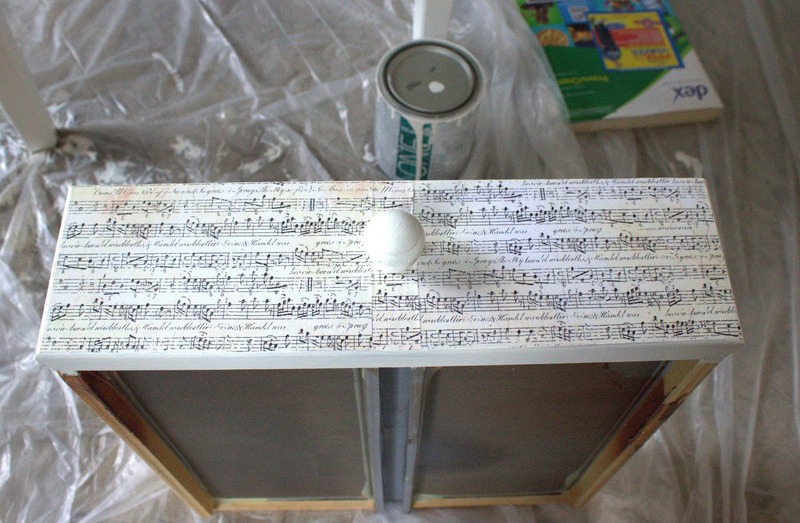 I then painted the edges of the drawer and let it dry completely. 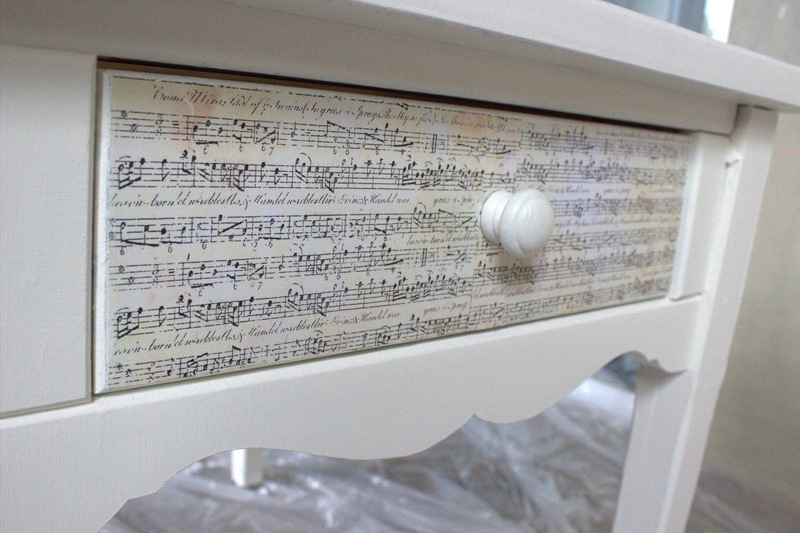 I love the little twist the drawer adds to the table! This is so darling! I love how it turned out!